Treat yourself with this dream house! Kinshi-cho, Kouto-ku, a town with a view of Tokyo’s symbol “Skytree”. 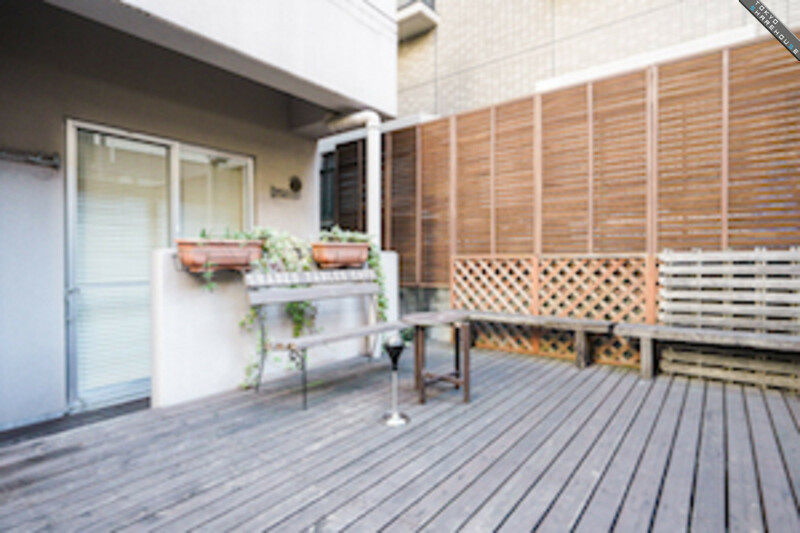 Ten minutes’ walk from Kinshi-cho and 6 minutes’ walk from Sumiyoshi station, there stands “Queen Residence Sumiyoshi”, a newly opened share house with stylish facilities such as bar counter, DJ booth, gym, sound-proof room, and terrace. Today, I will tell you all about it. 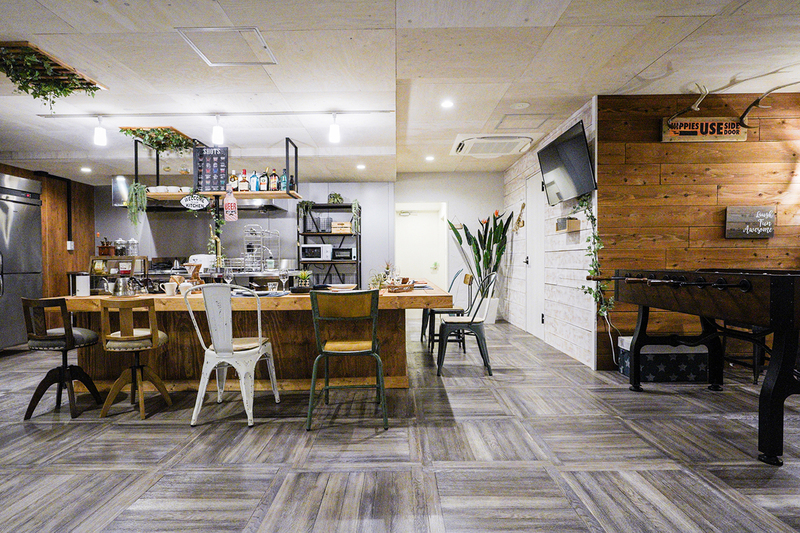 I couldn’t help but be surprised to hear that there are kitchen, shower room, and restroom equipped in almost every in addition to its’ fascinating common space. It sure will become a popular share house since it can afford both fun aspect of share house life and a privacy as if you’re living by yourself in an apartment. Around the station are shopping center and supermarkets. There is even a plan to construct a new shopping facility in near future. Go gather for cherry blossom viewing party with your share mates or walk along the Sumida-river. There are plenty of ways to enjoy your weekends. 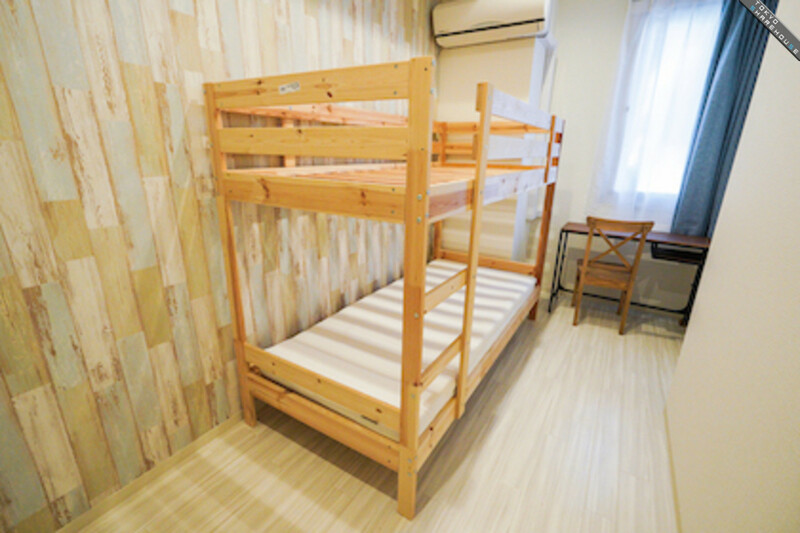 “Queen Residence Sumiyoshi” is a large-scale share house with 61 rooms, available for both men and women. Imagining how wonderful will it be to move in! Well, let’s go and see inside the house. Gather around whenever you like! The very best dining space. 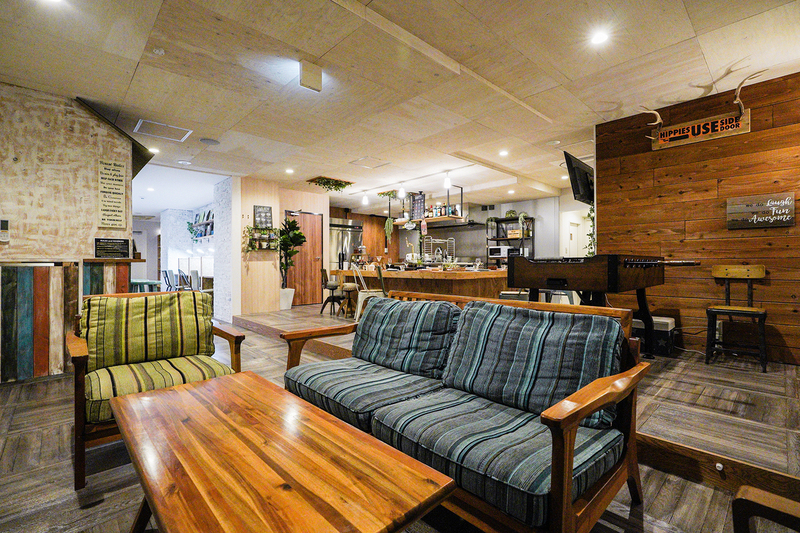 The living room of “Queen Residence Sumiyoshi” is stylish. Even through the photos, you can see that the room is spacious with good taste in design. What more could you ask for being able to use this room whenever you want to spend time with someone. 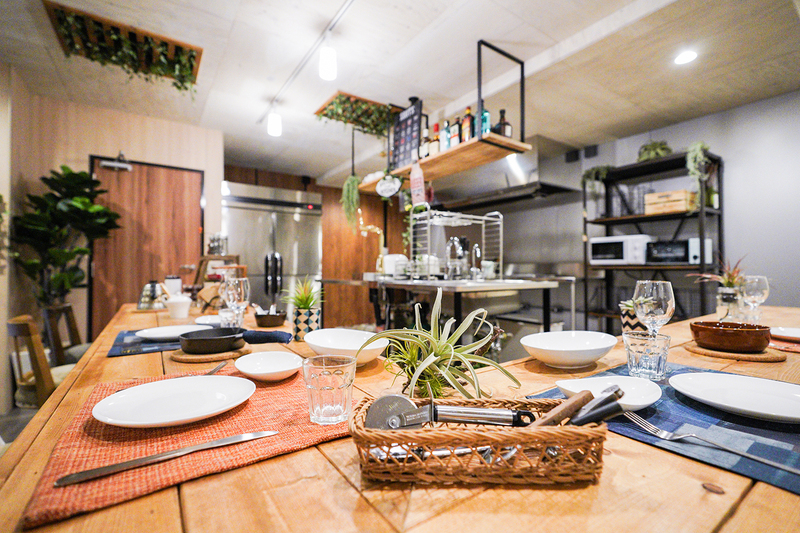 Some of you might find it delighting that you don’t necessarily have to use the common kitchen since almost every private rooms have it equipped. This dining space is rather a calm and peaceful place to chill out. If you want to have a blast, take a drink to the bar counter or a DJ booth. 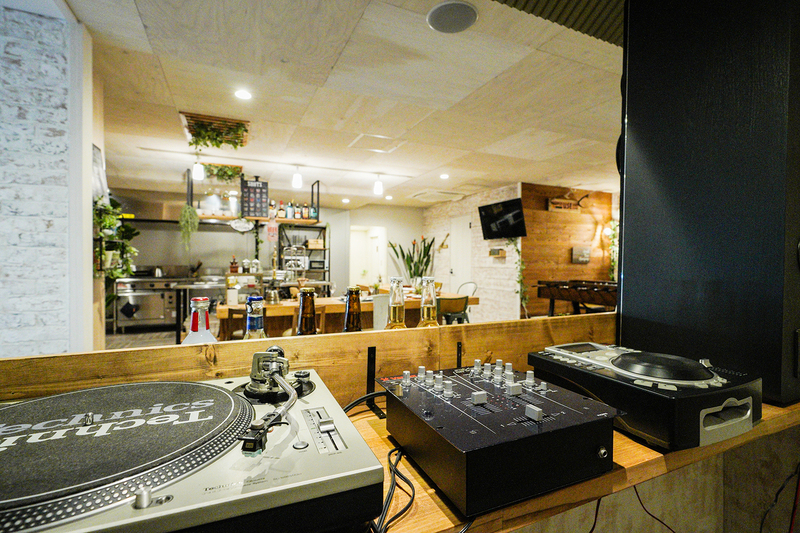 Get some booze and enjoy music to enjoy your night on weekends. Dining table surrounding the kitchen. 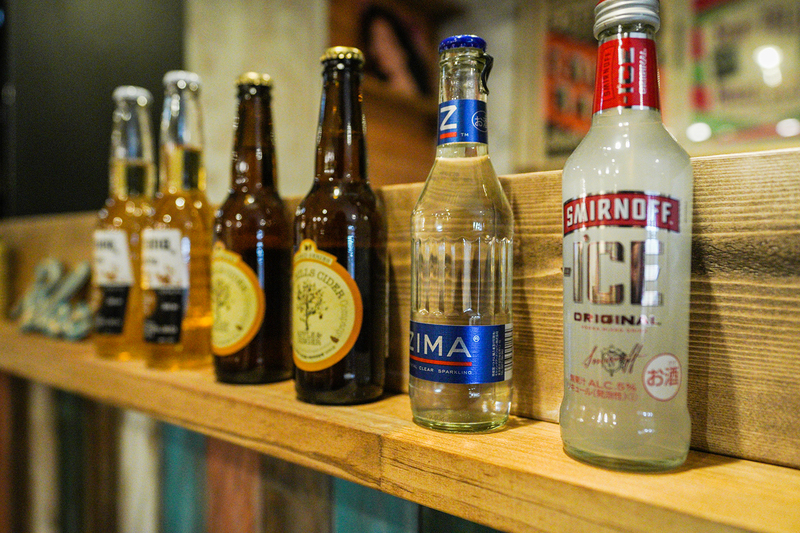 Be a bartender yourself and treat your share mates a fine drink. Lay back on a sofa. Share your thoughts accompanied with snacks and booze. Laughter will fill up the room. Retro games are timeless pleasure! From the DJ booth, you can see the entire kitchen. I wonder who is going to be the entertainer playing music here. The entertainer will sure be the popular one among all residents. Stylish bar counter. I can’t be more jealous of those living in the most fascinating house. Kitchen with beer server. How about a cooking as your new hobby? 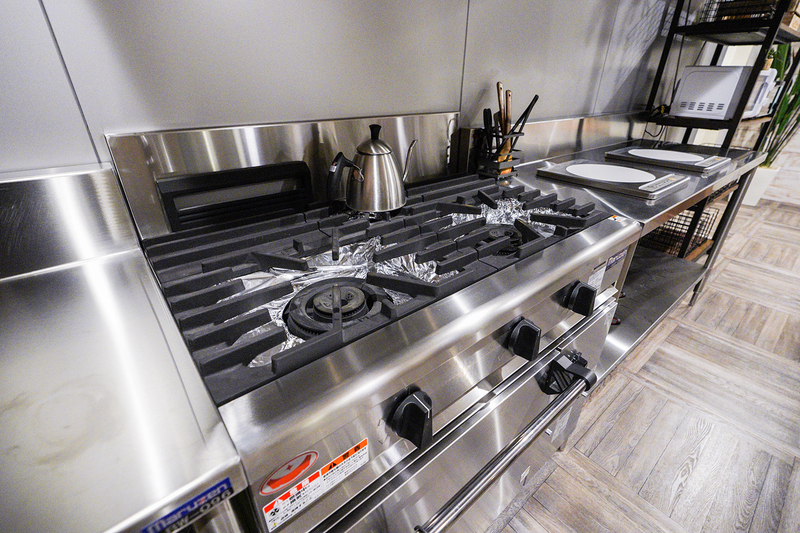 If you love to cook, big kitchen is one of the positive aspects of living in the share house. You cannot expect this much of a facility when living alone in usual apartments. 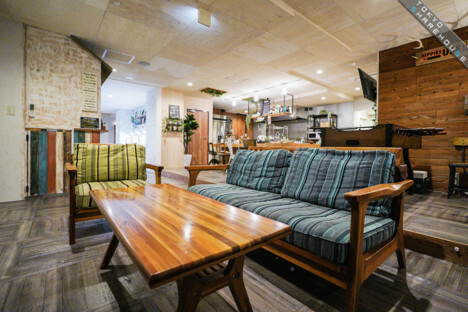 In addition to its’ scale, beer server is at your service in the kitchen of “Queen Residence Sumiyoshi”. You can enjoy beer whenever you like, while cooking for example. 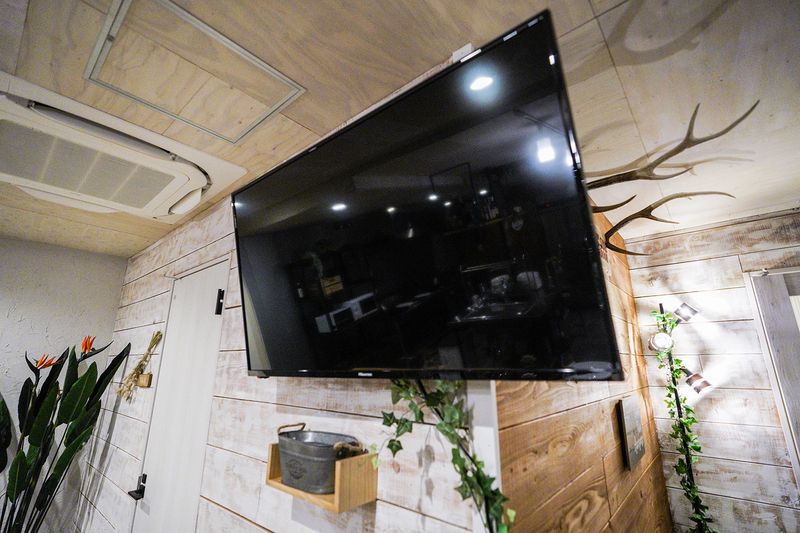 It is convenient when you throw parties in the house. Just be careful not to drink too much and avoid waking up having terrible hangover the next day. Gas and electric stoves, 2 each. Don’t worry when you want to cook dishes which requires powerful heat. 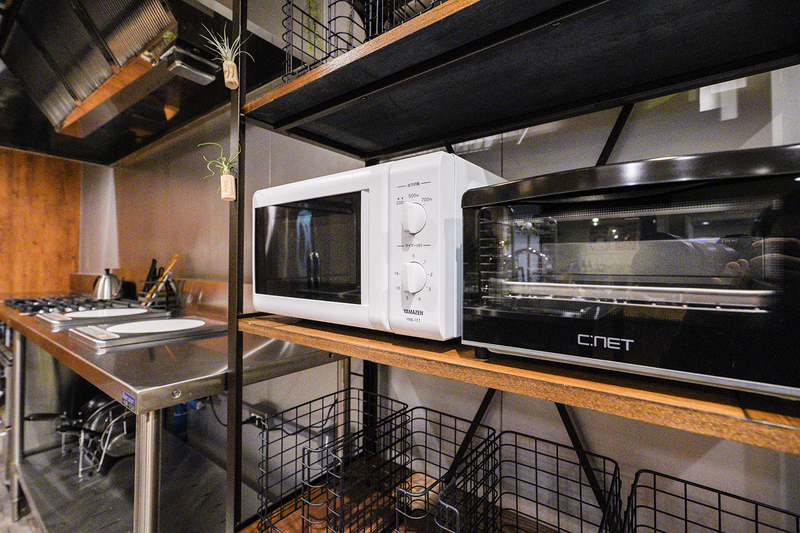 Microwave oven and a toaster is on the shelf. You can make simple breakfasts with these. Your privacy is respected even under the same roof! 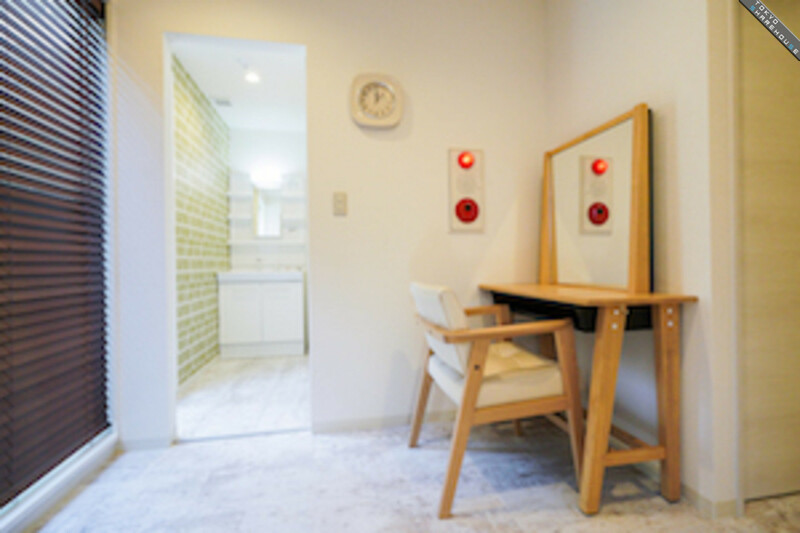 One of the features of “Queen Residence Sumiyoshi” is that you can spend time in your private room as if you’re living all by yourself. You can both enjoy your private time and communicating with others at the common spaces in one place. The choices are yours. This is not easy to realize in accessible towns like Kinshicho. Design of each rooms differs slightly. You may imagine minimalistic private rooms, but the private rooms here are more playful and stylish. Wallpaper and floor design differs from each rooms. Unique wallpaper lightens up the room. 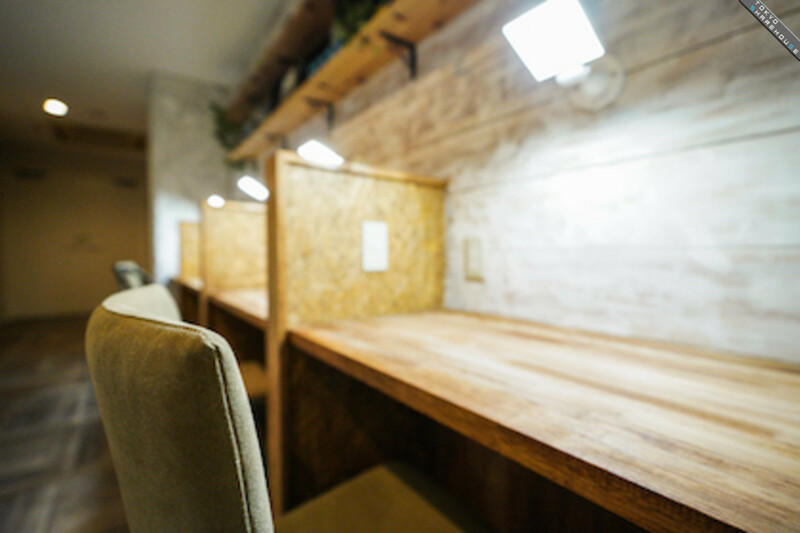 It creates a space where you can focus on your work. Private room with a bunk bed. Gym, sound-proof room, and even a terrace! Do what you like! Annoyingly saying, the common space of “Queen Residence Sumiyoshi” is fulfilling! 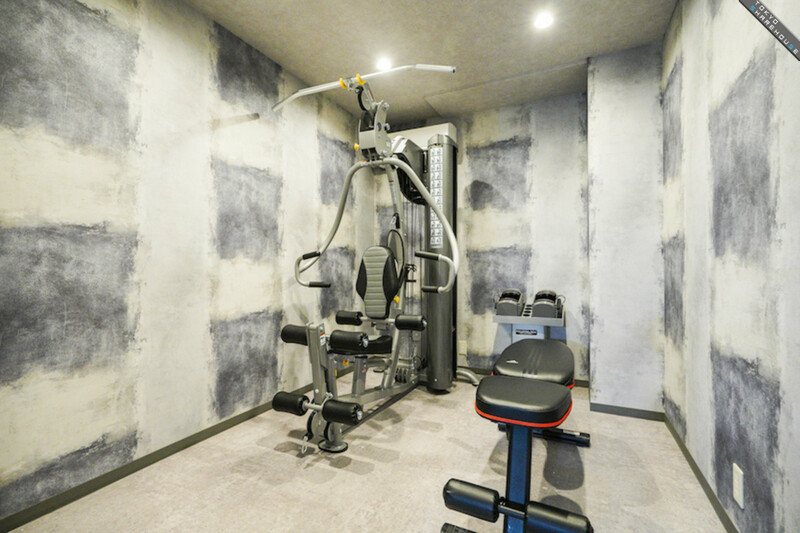 If you’re relevant to work out at gym, have music as a hobby, and like to communicate with people, I suggest you to check out the house immediately. 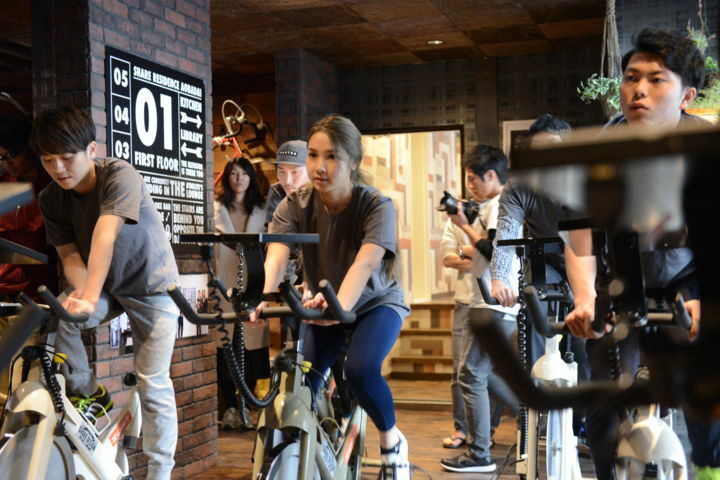 「Not only that you can save money, you can meet people with same kind of value and hobby. Those who choose a share house with this much facility are highly likely to be active and have various hobbies, too. 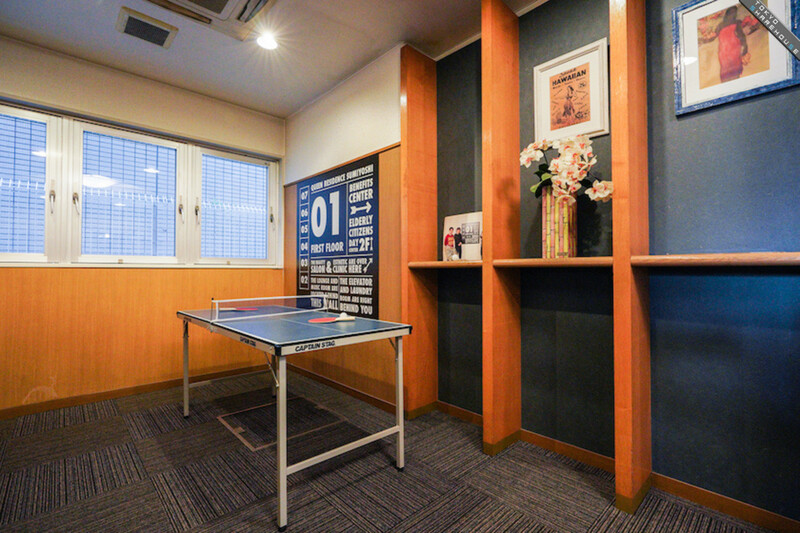 By choosing and spending time with share mates at “Queen Residence Sumiyoshi”, you may encounter the new values and interests. There’s a space you can spend your time without being ignored. To those who wants to read books or study alone. There’s also a laundry machine at the common space. 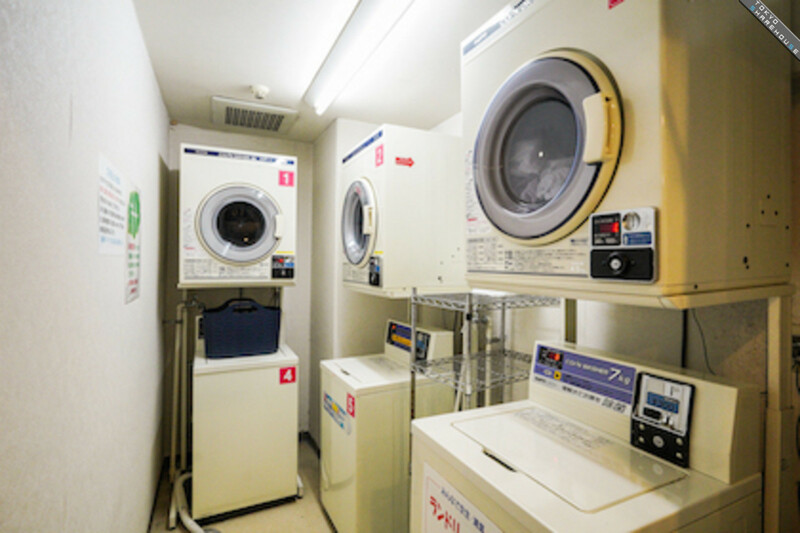 You need not to put laundry machine in your own room and just use this one. Near the washing basin is a dressing table for women to put on a make-up. How about sunbathing at the terrace on sunny days? It’s important to take some time to relax. 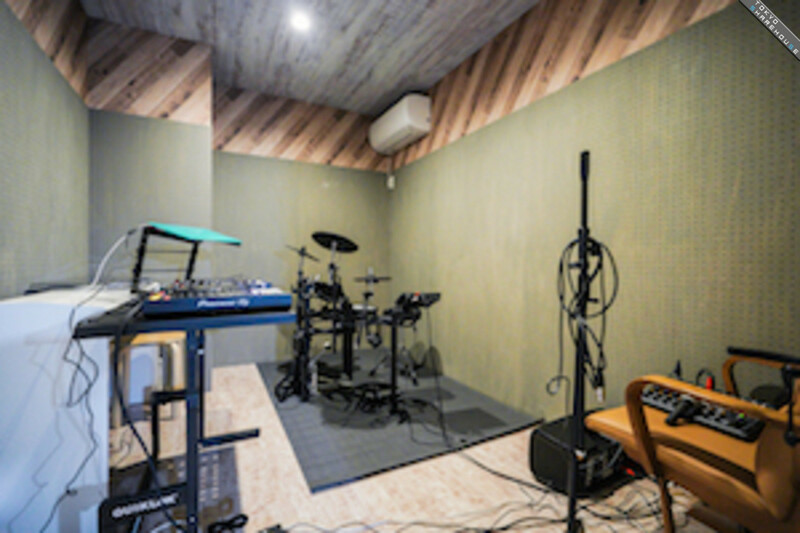 Sound-proof room should be attractive to those who admires music. Some may become a teacher and teach music to others. “Queen Residence Sumiyoshi” is where you can experience luxury living beyond your expectation towards general share houses. The main feature is that there are plenty of common space to gather but also is a place where you can keep your private life private. With plenty of unique and attractive facilities, you can earn breadth of mind and enjoy more the life with others. 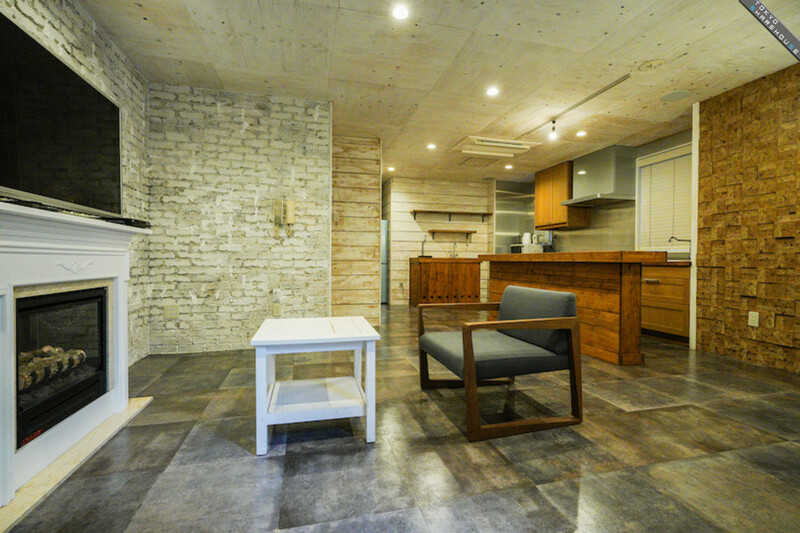 I can’t think of any other place more significant than this house in Tokyo with only the average amount of rent living alone. Of course, great facility is not the only essence needed to provide you the time of luxury. 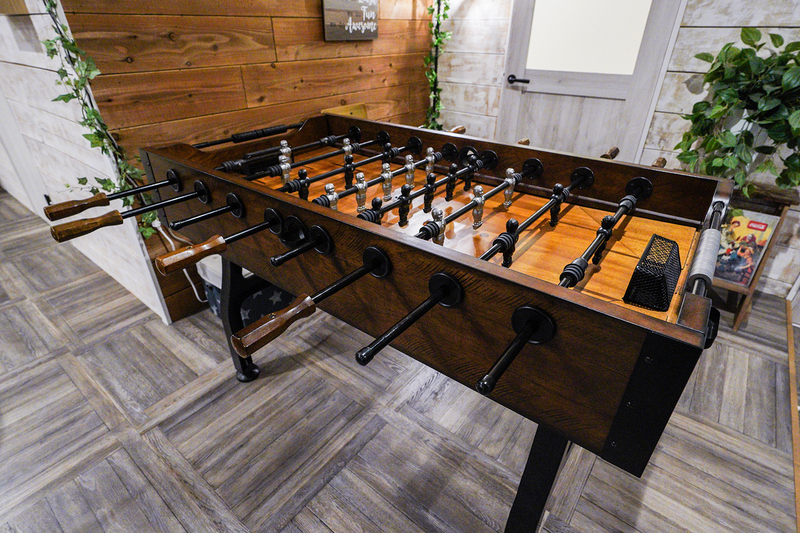 Bar counter, DJ booth, gym, sound-proof room, and terrace are just a tool to spice up the life with share mates. 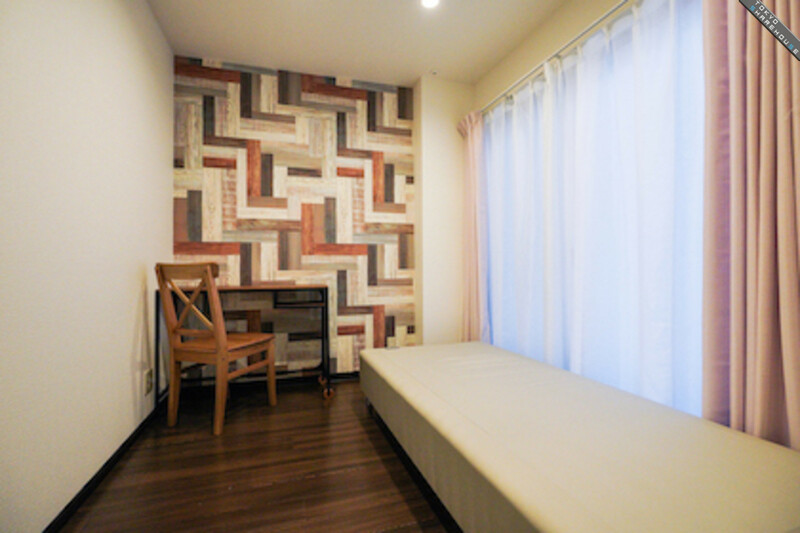 Try and find your own luxurious ways to spend your days here at “Queen Residence Sumiyoshi”. The house is run by Share Design Inc., a corporation which manages several share houses with fun elements. They have suggested a new styled share house and has been leading the business in the industry. If you’re lacking of fun and excitement in your daily life, take a visit to “Queen Residence Sumiyoshi”. You may remember the feeling of “playing is fun!” once again.